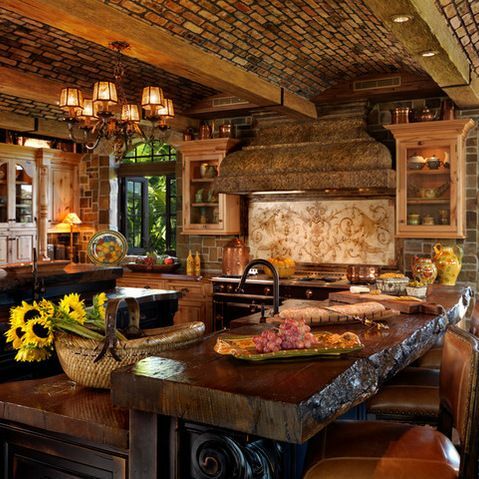 Wood rustic counter tops bring old world charm to this design. 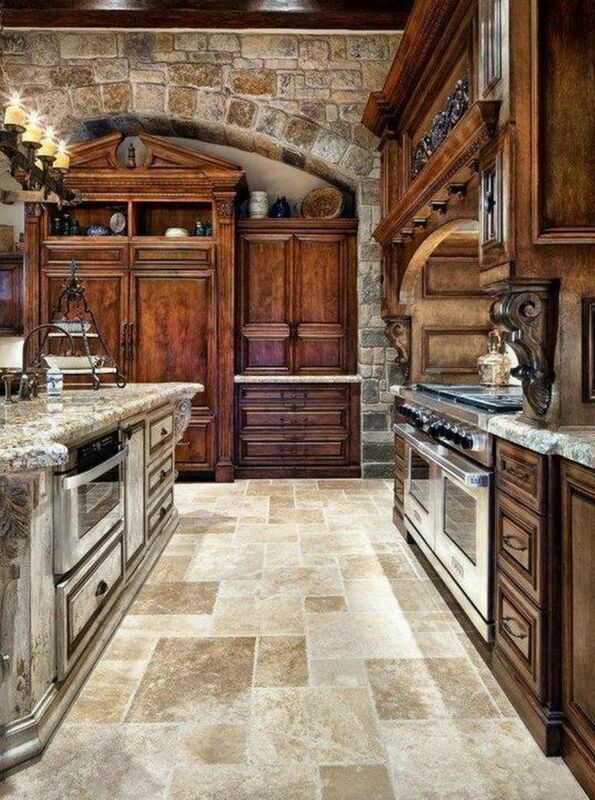 economic way to incorporate it into an existing kitchen design. 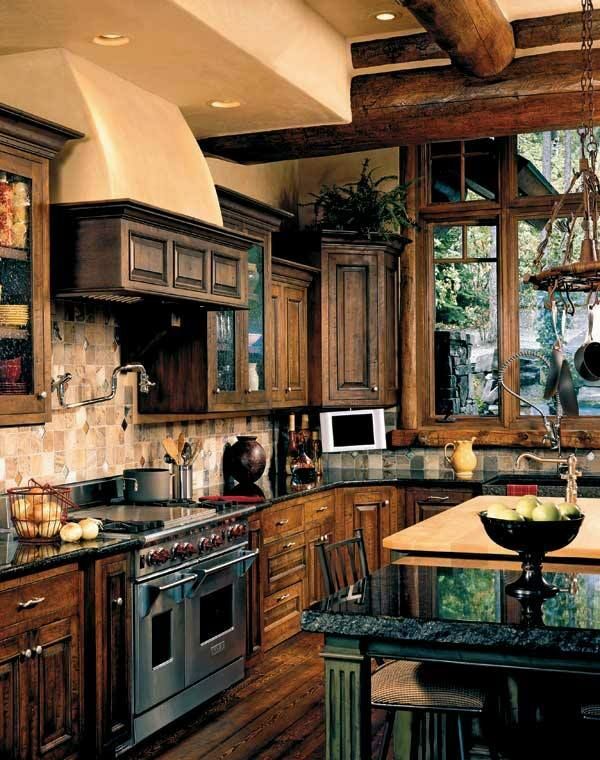 Example: Back splash design and chandelier. Ah, the elegance of deep wood tones, and too match the floor was an added surprise of Tuscan charm. 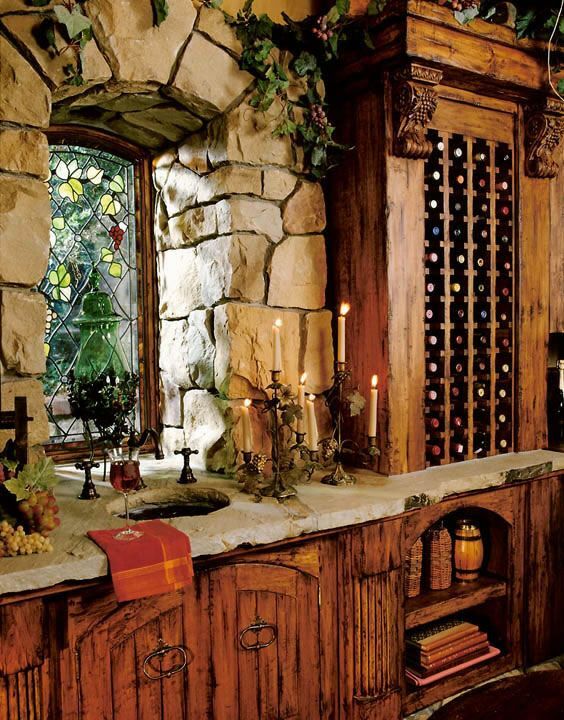 This is the finale' of designs featuring the wine rack and the roughed counter tops.